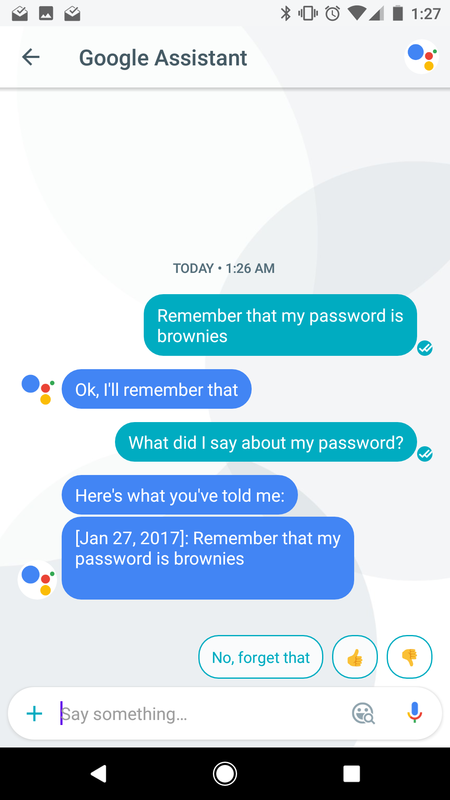 We've often lamented the rather lacklustre approach Google has taken with Google Assistant, but it can do one thing: remember stuff. 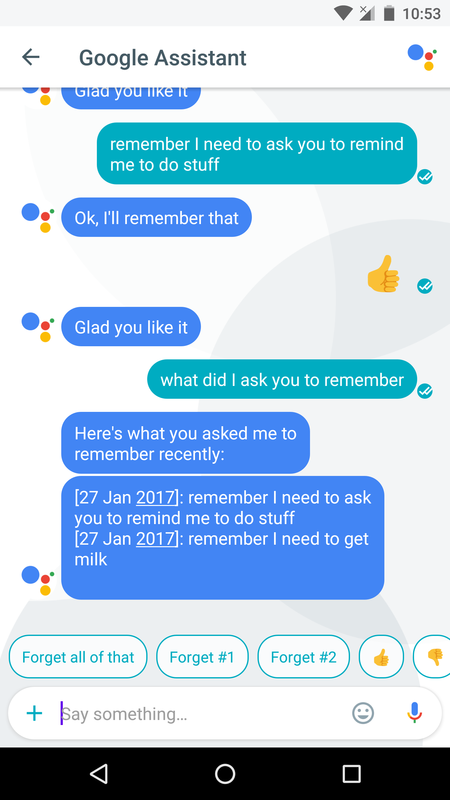 On all three things which use Assistant - that's Allo, Pixel, and Home - it can recall things it's been asked to remember. 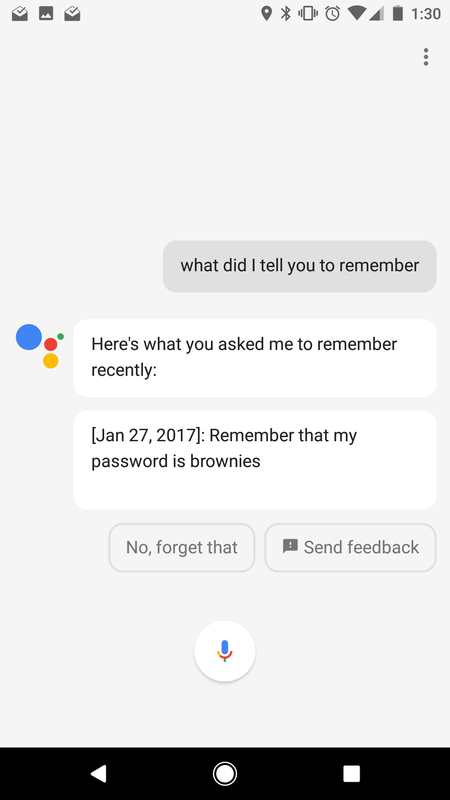 As Assistant is cross-platform, this works across all three devices; telling it to remember something on Home and then asking on Pixel does indeed work. 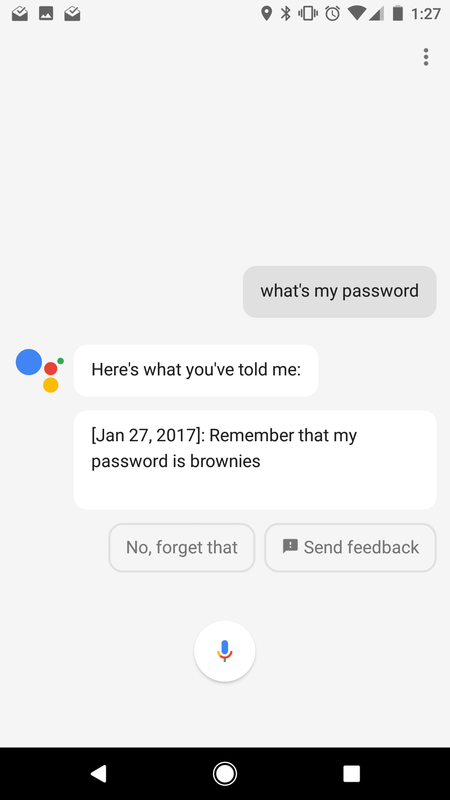 This probably isn't the best of ideas for remembering passwords. It's pretty simple to get Assistant to remember something for you. Just say 'Remember I...' and then complete your sentence. 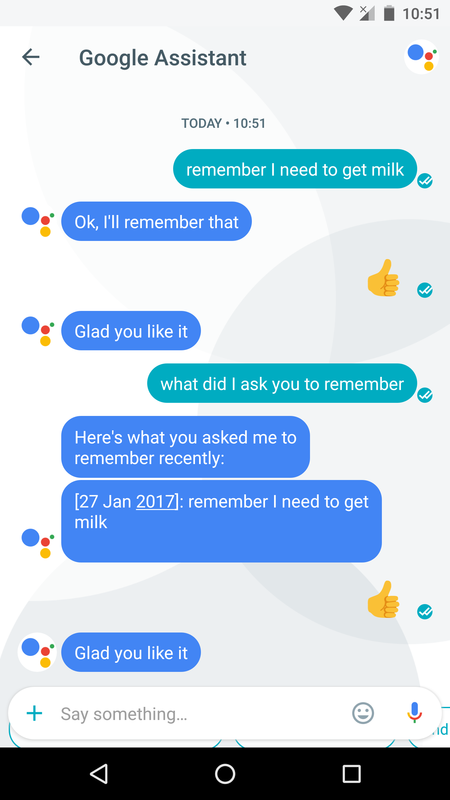 So if you need it to remind you to get milk, say 'Remember I need to get milk,' and Assistant will remember it. 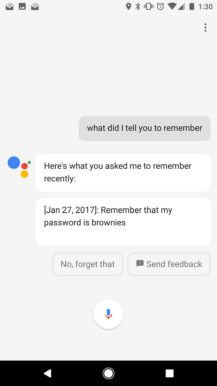 Then ask 'what did I tell you to remember?' and it'll tell you that it was asked to remind you to get milk. Keywords also work, as in the screenshots above; if Assistant is told to remember a password (probably a bad idea, but hey ho) by saying 'my password is [insert word here]', you can say 'What's my password' and Assistant will tell you. It can also be made to forget things, by # of item on the list - for example, "Forget item #2." Now the downsides. This isn't a reminder function, like in Inbox or Keep. 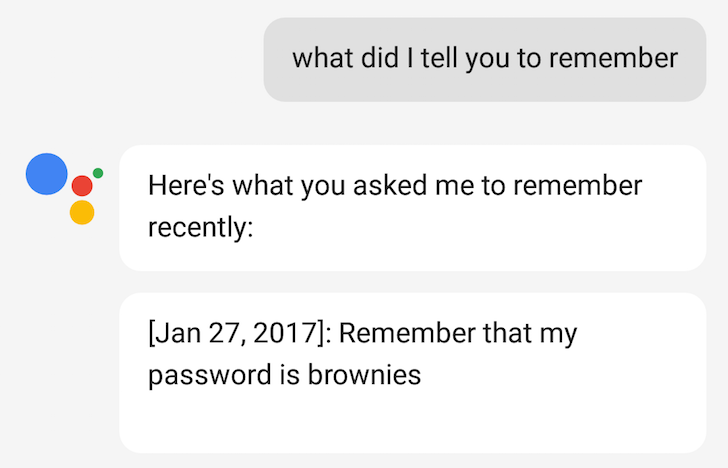 You can't attach a time or place to the thing you want to be remembered, and Assistant cannot bring it up automatically - it needs to be asked what it was that you wanted to remember. For those with Pixels or Home, Assistant is obviously easily accessible. However, if you don't own one, all hope is not lost - Allo has an Assistant chatbot, which is great. Otherwise, get asking Google to remember things for you.